A new special-edition 2019 COPO Camaro hit the scene recently in Las Vegas, and this distinct model is celebrating the power and design that made has made the COPO a favorite among sports car enthusiasts for over half a century. Celebrating the original Laguna Blue model offered on the original 1969 model, the latest COPO Camaro even comes in a striking Red Metallic exterior color. We are extremely excited to share this with you all! According to Chevrolet, the COPO Camaro also comes with a few surprises under the hood. There’s a supercharged, LSX-based 350 engine and an available naturally aspirated LSX-based 427 racing engine as well. The front-end design is also noticeably distinct on the 2019 COPO Camaro, with a massive hood scoop and reworked front fascia. Here’s what you should know. The 1969 COPO Camaro design program was truly distinct, offering performance-oriented engineering for drivers who really wanted to stand out on both the road and the drag strip. There’s even a new eCOPO design offered in the 2019 model, with an electric powertrain specially made to enhance power while reducing its carbon footprint. 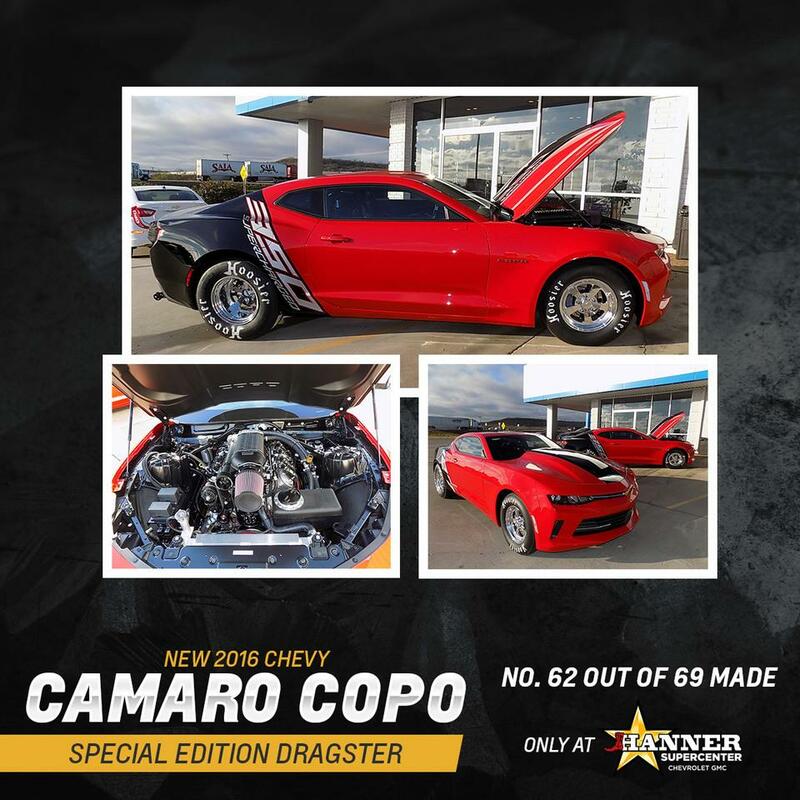 While we don’t sell this one-of-a-kind Chevrolet Camaro here at Hanner Chevrolet near Abilene, TX, we have the production version that’s just as awesome, as well as many other Chevy models. Come to see all these amazing Chevy models and all of us today. We’d really love to help you find the vehicle of your dreams!